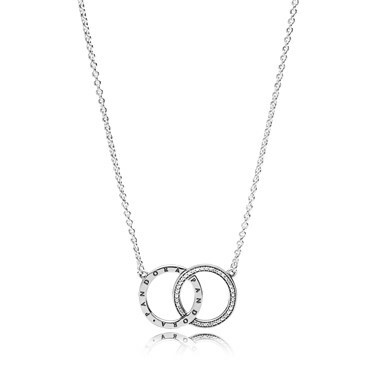 Interlinking circles are symbolic of everlasting love and the bond between two souls making this a meaningful gift to give to your loved one. This sparkling necklace will add effortless elegance to any look. Beautiful necklace,great price,quick and free delivery.